The SayHi Chat app, a social app to help its users find people nearby, was first released in Japanese, Chinese, and English. It soon became one of the most popular apps in Japan, Hong Kong, and Taiwan. The SayHi team realized that the global growth of SayHi was being restricted by the limited number of languages in which the app was available. Using details from Google Analytics, the DAU and user growth numbers, the SayHi team identified several candidate languages for new translations. After looking at the total of Android and iOS users in each market, they settled on a list of 13 additional languages. They then engaged the App Translation Service through the Google Play Console to complete the translations. 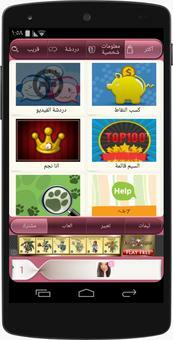 SayHi launched in its new languages in August 2013 and immediately saw a 120 percent increase in install rates. In addition, the app entered the Top 10 apps rankings in countries including Poland and Italy. Notably, they also saw steady growth in Spain after replacing their previous non-professional Spanish translation with a professional one produced by the App Translation Service. There was also an increase of about 20 percent in revenue and around a 50 percent increase in User Reviews in the new languages.